Today, I share my best, yet affordable, tips for planning a great weekend, right in your own city. When it comes to exploring in the city, in my case the Beaches neighborhood, nothing beats using our bicycles as the main form of transportation. I must confess, we live in such a convenient area, yet we find ourselves using our cars quite often. However, the traffic and parking situation can get fairly stressful. Hopping on a bike gives plenty of options when it comes to making frequent stops and not having to worry about finding a parking spot. It also gives you a chance to do something active while getting you from one spot to the next. Now, if riding your bike to your destination is not an option, pack your bike along with you in your car, or consider using any major city’s bike rental service. I LOVE Brunch. I’m not sure how the awfully simple act of eating eggs and sipping on coffee at a reasonably late hour became THE favourite thing to do on the weekends. 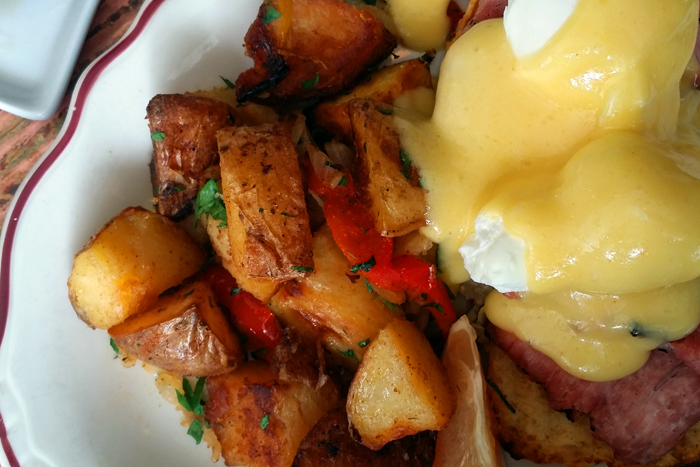 There are so many great brunch spots in Toronto and I love discovering new restaurants nearby. Some people may think $15-$20 for a plate of eggs is fairly pricey. However, the advantage of grabbing a decadent brunch meal at a later hour is that you often end up snacking in the afternoon and sailing right onto dinner. Which in my opinion is quite an affordable “pass-time,” no? There are a few special places close by that I highly recommend. A Leslieville hot spot is definitely the quaint (but not necessarily quiet) French bistro, Bonjour Brioche. I drool over their spicy bacon baguette and always leave with a bottle of house-made vinaigrette. I’d also recommend their classic eggs benny! If you’re in the mood for something a little fancier and with a gorgeous view of the Beach, be sure to check out Trinity Taverna, which also serves up a brunch menu. The décor and ambience is to die for. It’s like a Greek island nestled inside a restaurant overlooking the beaches. After a satisfying meal, acquaint yourself with the community locals to find out what the nearby hot spots are. Find that local vintage store, when and where the festivals take place, and which park to take a stroll through. The Beaches run several music/jazz festivals during the summer, and the food scene has become quite popular. Most of these festivals and events have free admission too. As the afternoon draws to an end, I make an effort to stop by a local Farmers’ Market to pick up some fresh and locally-grown produce. 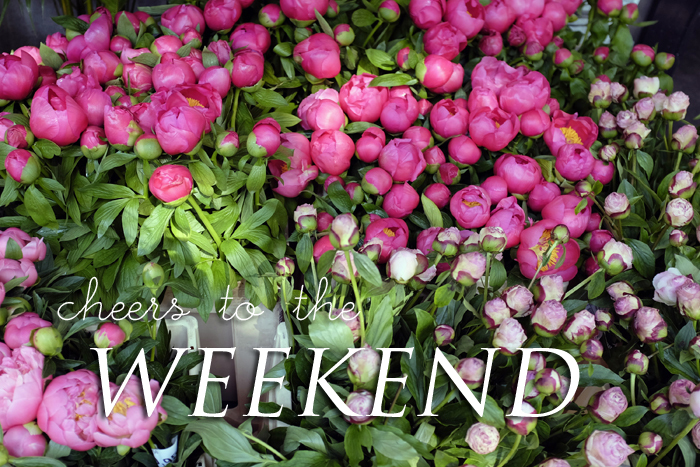 Be sure to check out you area’s local weekend farmers’ market’s hours as many open and close quite early. I’m also obsessed with floral markets. My corner store sells 3 bunches of fresh cut tulips for $10! You definitely can’t beat that price but I enjoy visiting specialty floral markets and handpicking an assortment of unique flowers for the house. Though it’s not quite in my neighborhood, I’m thrilled to visit the Toronto Flower Market in the west end of Toronto. The Toronto Flower Market takes place once a month on the second Saturday from May through to October. To end the weekend adventure, ride your bikes to a local park, in our case that’s the Beach, and plan a simple picnic with your newly acquired food items and tasty treats. Enjoy the sunset and warm breeze. What a perfect way to end the day! My tips for planning a wonderful yet affordable weekend in the city are no trade secrets! I hope you’ll find the time to plan a few great eventful days with your family and friends this coming weekend! What are some of your beloved ways to spend the day on a dime? Disclosure: This post was brought to you by Ford Motor Company of Canada, Limited via Mode Media Canada. The opinions expressed herein are those of the author and are not indicative of the opinions or positions of Ford Motor Company of Canada, Limited.